This delicious brunch dish from Anna Hansen has both Indian and Japanese influences. 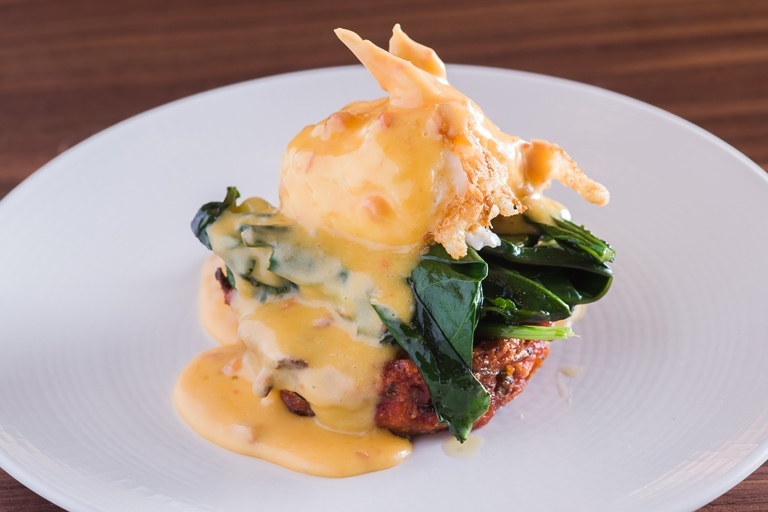 Although there are a few steps involved, most of the elements can be prepared ahead and then finished off before serving – the hash rounds can be stored once shaped, and the Hollandaise can be made ahead. At The Modern Pantry, Anna cooks the eggs in a water bath at 64°C for 25 minutes to achieve the perfect runny yolk before deep-frying, but at home you can soft-boil the eggs and shallow-fry for a similar result.